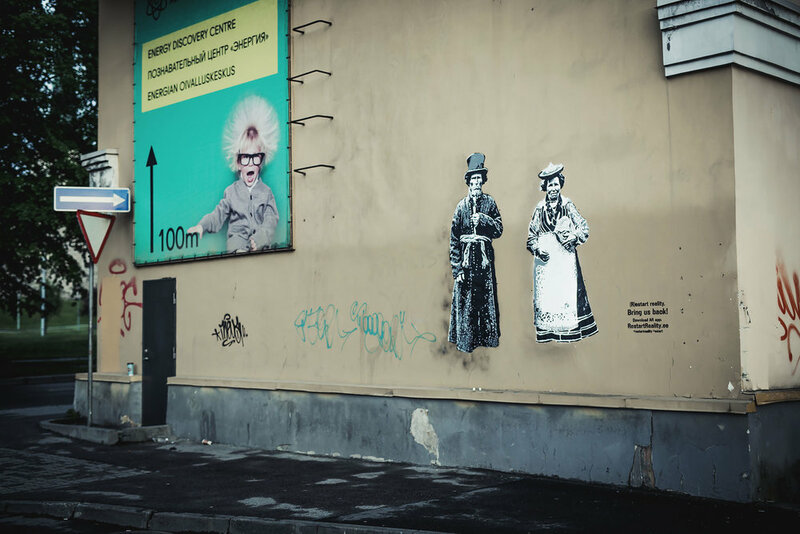 All over Europe, quirky time-travellers from Estonia materialize on the walls of various buildings in stencil & spray paint, with a touch of magic. 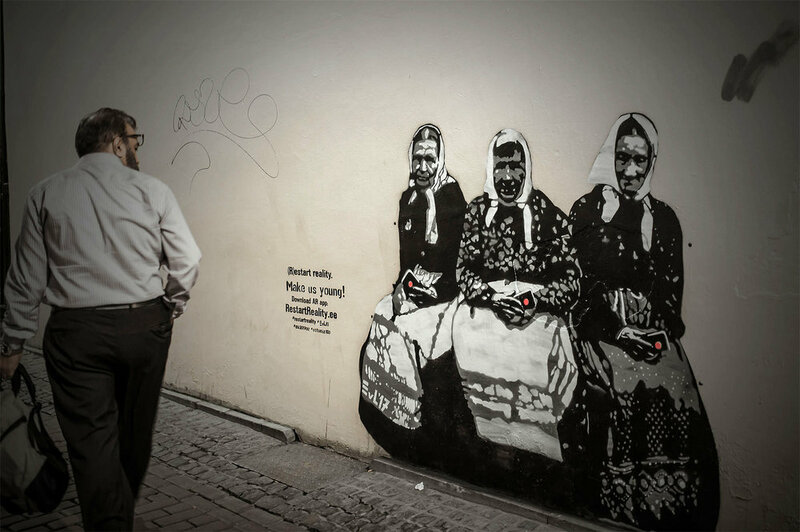 They come from a time of about 100 years ago, now exploring Europe on this unforseen tour to celebrate their country´s centenary and Edward vo Lõngus´s 10th year of being active on the streets, using the city space as his medium. Dressed to impress and equipped with various superpowers, the time travellers are happy to make friends with passers-by. At first sight positioned as observers on the streets of a foreign country, they will invite passers-by to get to know them better via their mobile devices. Augmented-reality technology will bring them to life. Ats#Pets, an electric bagpipe duo from Soonda, will be jamming on the streets of Paris with the locals. Digital nomads Miina & Enn, who spent some time stuck in a mail server after a malfunction on their self-built teleportation device, reappear in London one day and then they´re already in Rome. The (R)ESTART REALITY tour is about building a bridge between the past and the present. How much has changed in a hundred years? How much has stayed the same! In any era, there´s always room for some magic.